31st January 2018, New Delhi: Healthcare has historically been one of the more neglected field in our country. With a country with population of more than a billion people, the quality of public healthcare system that India has is quite weak. Although the private medical service providers are trying to make up for the gap, reaching the level of some of the other large economies is still a distant dream. 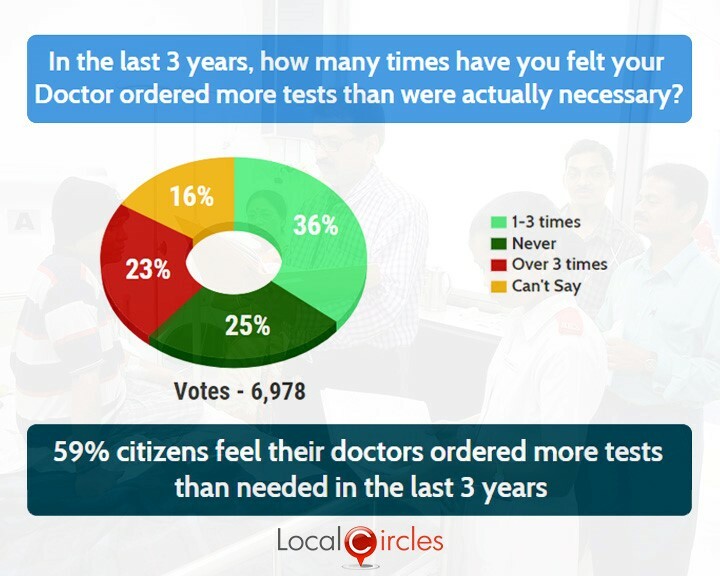 LocalCircles did a deep-dive in the issue and surveyed citizens across 200 districts of the country to understand what they expect the Healthcare Budget 2018 to do to bridge this gap and also what they generally feel about the healthcare system in India. On a macro level, most citizens are in favour of Healthcare Budget 2018 allocating funds towards better monitoring & accountability of Govt & Private hospitals. They said for regulations to be made, money is needed, hence more allocation needed. Vice-President M Venkaiah Naidu recently said that making quality healthcare available to the masses in India is the most important need of the hour. He said the centre as well as the states should invest more in improving the healthcare facilities. The past couple of decades have seen some improvements in India’s healthcare sector but there is still a long way to go. Although the improvement in Infant Mortality Rate in India points directly towards improving healthcare services, government’s healthcare spend in the rural sector needs to improve. Government’s spending on healthcare has been coming down over years with spend in last budget being 1.2% of GDP. 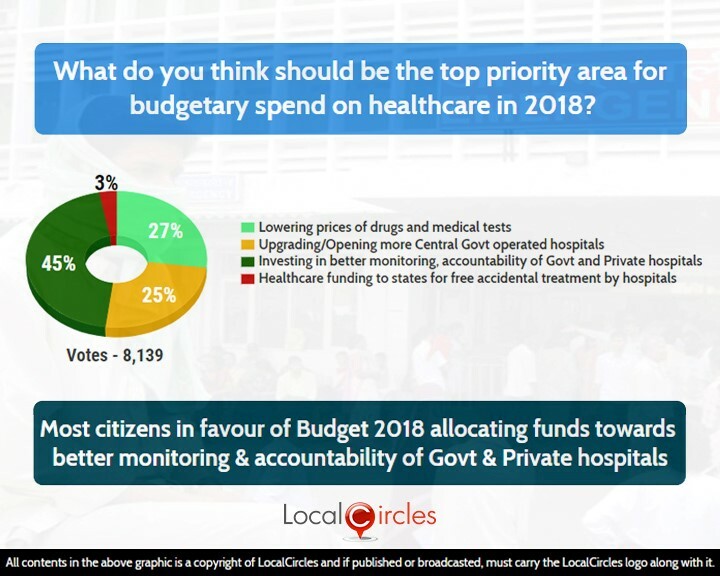 When asked what do citizens think should be the top priority area for budgetary spend on healthcare in 2018, 27% said lowering prices of drugs and medical tests, 25% wanted upgrading/opening of more central government hospitals, 45% want the government to invest in better monitoring, accountability of government & private hospitals and 3% want healthcare funding to states for free accidental treatment by hospitals. 15 years after the last health policy was issued, the Union Cabinet recently approved the new National Health Policy. NHP 2017 which was in the drafting stage for a long time covers only government healthcare providers whereas majority of the healthcare services in India are provided by private establishments. The National Healthcare Policy 2017 covers only government healthcare providers which are only a small portion of the healthcare industry. 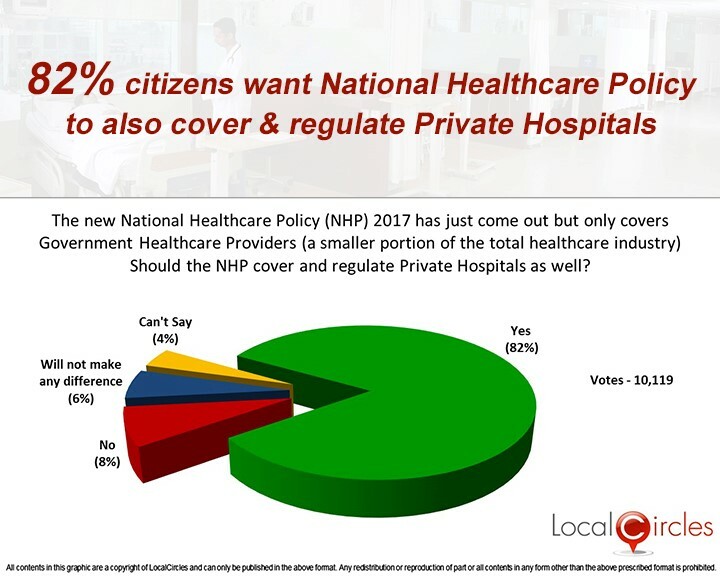 In a parallel poll, 82% citizens said that NHP 2017 should also cover and regulate private hospitals whereas 8% disagreed with it. 6% said that it will not make any difference and 4% did not have an opinion on it. 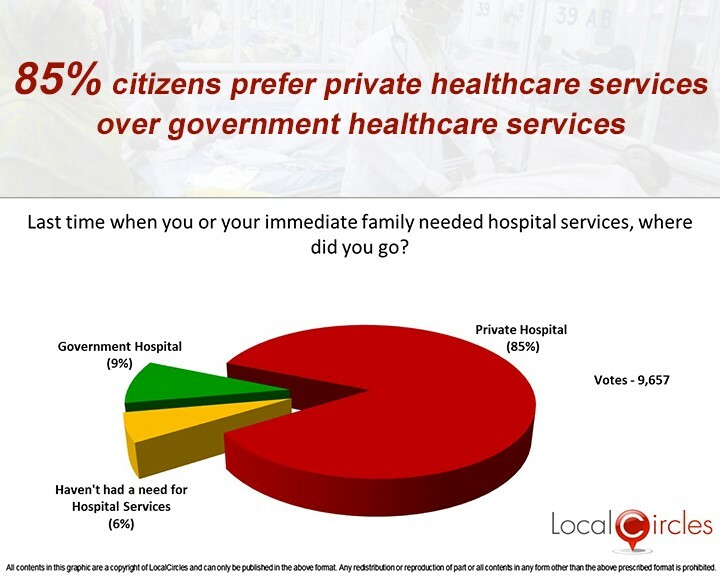 When citizens were asked where they went last time one of their family members needed hospital services, 85% said they went to a private hospital and only 9% said they went to a government hospital.6% did not have a need for hospital services. The National Health Policy aims at increasing the use of public health policy by 50% by 2025. 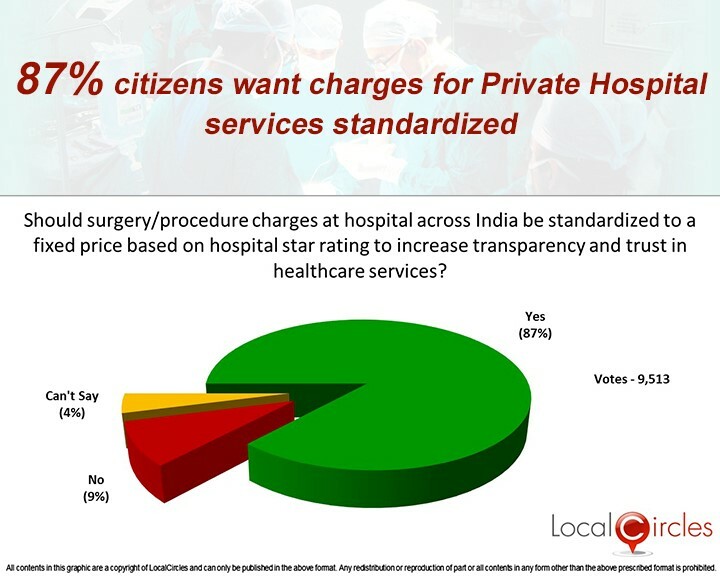 Citizens were also asked if surgery/procedure charges at hospitals across India be standardized to a fixed price based on hospital star rating to increase transparency and trust in healthcare services, 87% replied in an affirmative, with 9% declining and 4% not being sure about it. National Health Policy 2017 is just the stepping stone towards making quality healthcare services available to the masses. To make sure that NHP 2017 does not land up the same fate as its two predecessors of 2002 and 1983, the government will have to monitor it well and make sure that the policies mentioned are duly implemented. The recent incident of deaths in a government hospital due to malfunctioning of equipment and lack of availability of oxygen, was an incident which was criticised by masses across the country. Unlike many European countries, Government hospitals in India are not the first choice for the patients’ due to their lethargic services and large crowds. 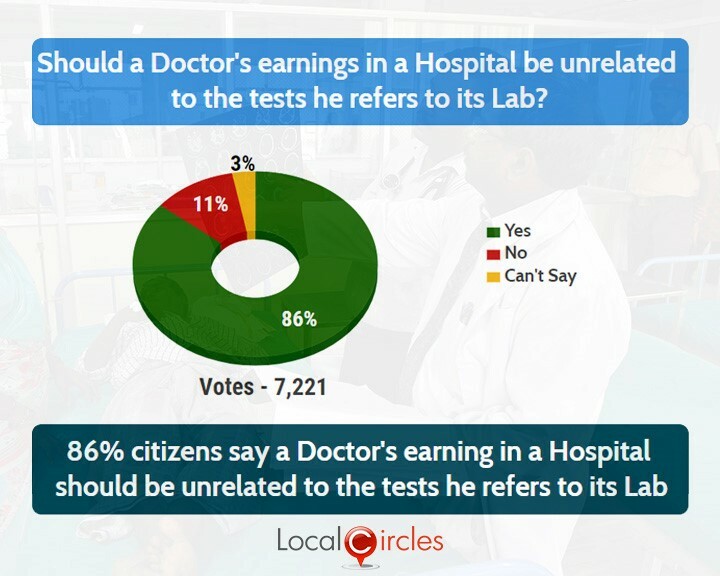 LocalCircles conducted a set of polls to understand the perception the citizens have of the government hospitals in India. The polls received more than 32,000 votes. Cases of corruption being reported from government hospitals are not unheard of. 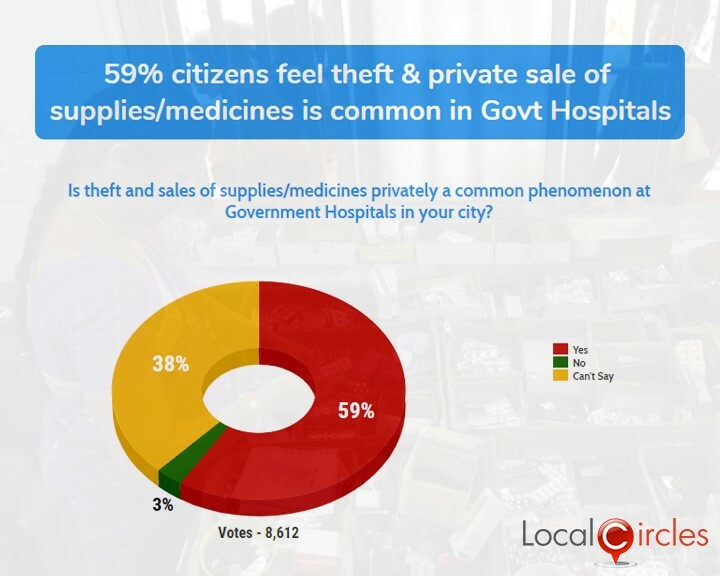 In the first poll, 74% said that corruption related to procurement/supplies is a common phenomenon at government hospitals while just 2% said that was not the case. 24% were not sure about it. There have been many cases where the staff of government hospitals have been caught trying to sell medicines meant for the patients, to outsiders at a discounted price. Even the supplementary things like syringes and bandages are sold to outsiders through the back door. Most suppliers have to pay bribes to supply equipment/consumables in Govt hospitals from qualification to orders to getting their bills paid. 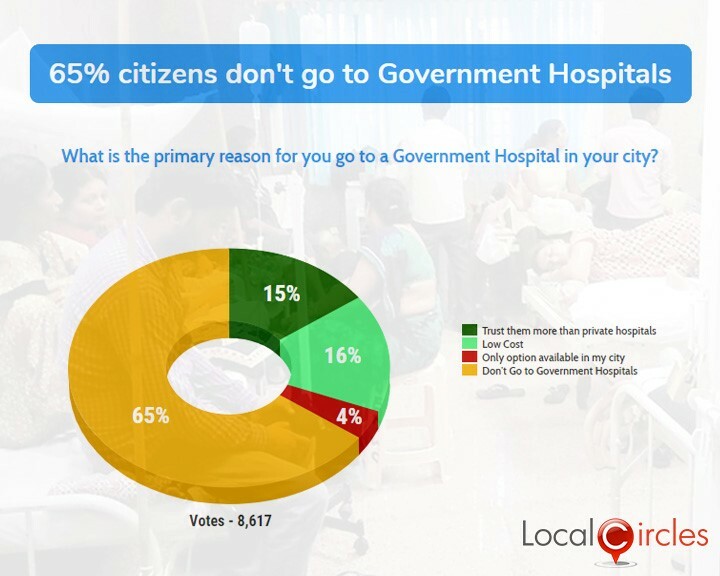 The third poll asked people the primary reason why they go to government hospitals. 15% said they trust them more than private hospitals and 16% said they go there due to their low costs. 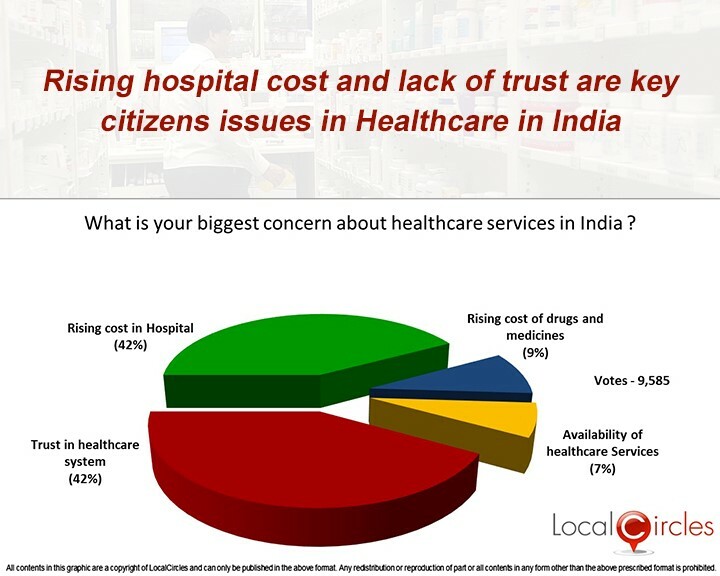 Surprisingly, a large 65% said they do not go to government hospitals at all and 4% said government hospitals are the only option in their city. 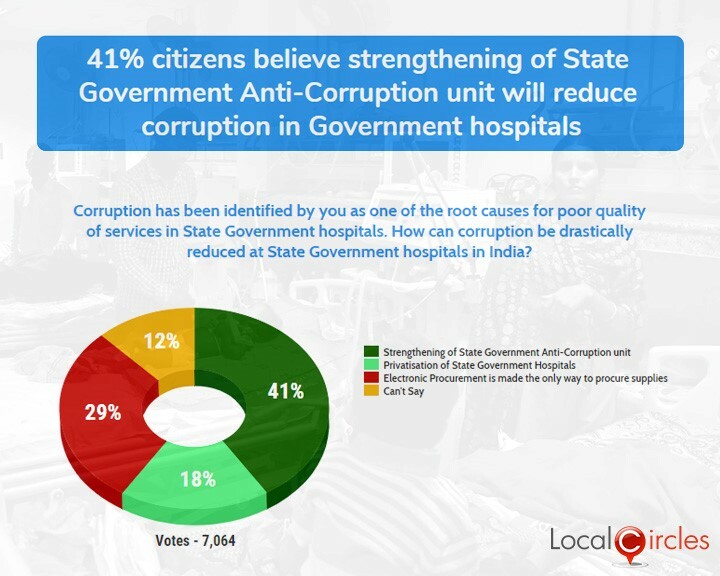 After corruption was identified as one of the root cause of poor quality of services in state government hospitals, the last poll asked consumers how can corruption be drastically reduced at state government hospitals in India. 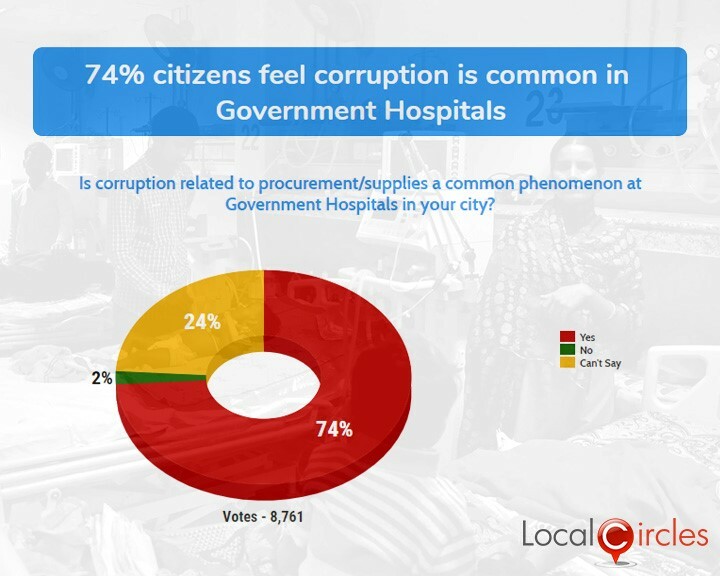 In response, 41% citizens said corruption can be reduced strengthening of state government anti-corruption unit, 18% said that it could be done by privatising these hospitals, 29% said making electronic procurement to procure supplies mandatory could help in reducing corruption and 12% were unsure about it. A total of 7,064 citizens voted on this poll. State government’s anti-corruption unit can play a vital role in reducing corruption in government hospitals. Citizens also suggested that government hospitals should be brought under electronic surveillance and the staff caught indulging in corrupt practices should be identified and strict action should be taken against them. The truth is that people who can afford to go to private hospital do not want to go to government hospital due to the long waiting time, bad services, insufficient equipment and lack of well qualified doctors. If Indian government hospitals have to come anywhere close to the top level medical services provided by the public healthcare system of many developed economies, then the government will have to take strict measures stop the wrong doings at these hospitals and elevate their service levels so that people feel confident in going there for treatment. Pathology labs are an important part of the medical system in our country. Being a high profit business, thousands of them have mushroomed in different parts of the country. Many people say that these pathology labs have a tie up with the doctors and pass on a commission to the doctors for every patient they send to them. To check the citizen perception on this issue, LocalCircles conducted a detailed survey, which received more than 43,000 responses. The first poll asked how many time they felt that their doctor ordered more tests than were actually required. 36% said it happened 1-3 times, 23% said it had happened more than 3 times, 25% said it had never happened and 16% did not know. It is believed that as an industry practice, up to 30% of the cost of the pathology tests go to the doctors, which motivates the doctors to prescribe unnecessary tests to the patients. This ‘motivation’ is also provided in form of gifts, sponsored holidays etc. 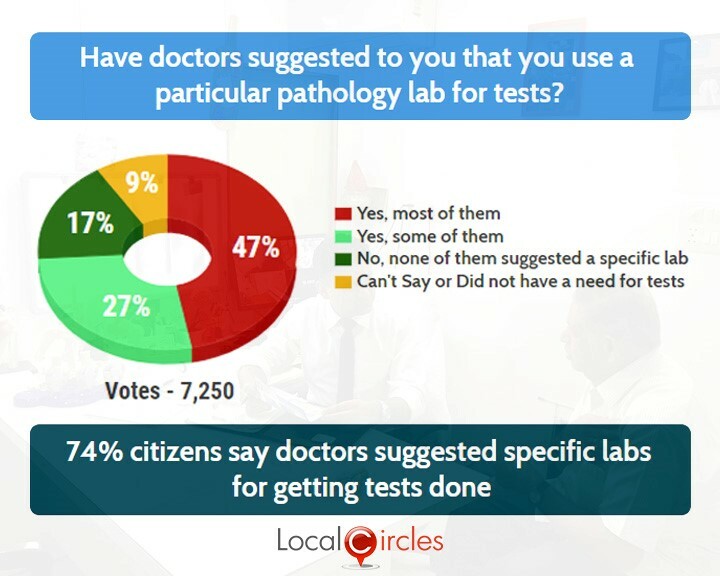 The second poll asked if doctors had suggested them to use a particular pathology lab for tests to which 47% replied saying most of them have, while 27% said only some of them have. 17% said none of them suggested a specific lab and 9% were unsure about it. 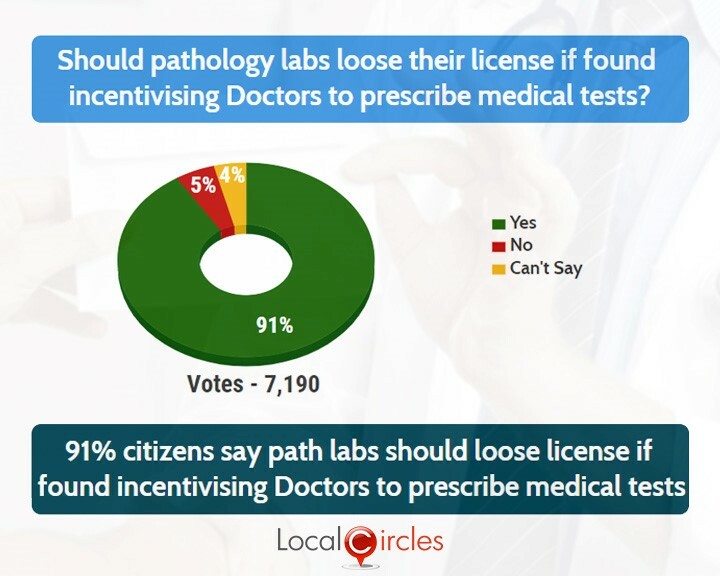 The third poll asked if pathology labs should lose their license if found to be incentivizing doctors to prescribe medical tests. 91% agreed with it while only 5% did not agree with it. 4% were unsure about it. 86% also agreed to putting a mechanism in place where for a doctor associated with a hospital, their earnings & incentives are completely unrelated to the value of tests they refer to the hospital pathology labs. Only 11% disagreed with it and 3% did not have an opinion on it. Some instances have been reported by citizens where the hospitals give a ‘pathology or diagnostic lab’ target to doctors working with them and decides their remuneration based on it. This pushes the doctors further to prescribe unnecessary tests to the patients. 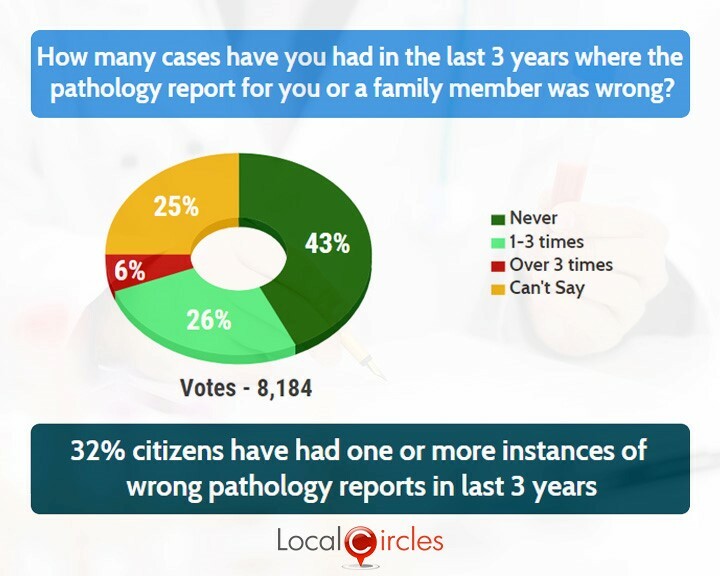 The next poll asked citizens how many cases have they had in the last 3 years where the pathology reports they had received were wrong. 26% said it had happened up to 3 times and 6% said it had happened over 3 times. 43% said it had never happened and 25% said they were not sure about it. It is also not very uncommon to receive wrong reports from pathology labs. Due to lack of proper guidelines, enforcement and greed to earn more money, some of these labs flout rules and play with health of patients, according to the citizens. 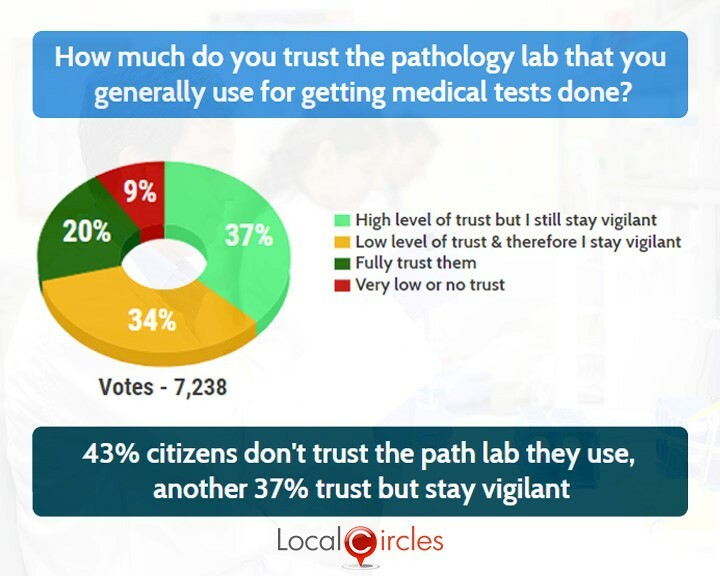 The last poll asked citizens how much they trust the pathology lab that they use for getting medical tests done. 34% said they had low level of trust and therefore they stay vigilant, 37% said they had high level of trust but still stay vigilant, 20% said they fully trust them and said they had very low level of trust. According to some of the members, ‘Sink tests’ are also a common occurrence where tests are prescribed just for the sake of it and the samples are just thrown in the sink and patients are given pre-prepared standard reports saying all is well. In various structured discussions, citizens also suggested that a Government agency should be constituted to keep a check on the private medical labs and diagnostic centres. Some other suggestions included rating labs on set parameters, making it illegal for labs to pay commission to doctors for referrals, severely penalising errors in reports and government prescribing a maximum price for each kind of test.